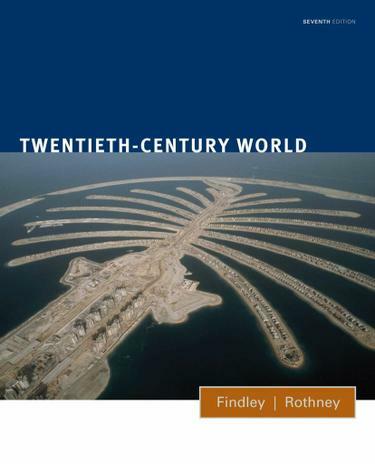 In the exciting new Seventh Edition, Findley and Rothney's best-selling TWENTIETH-CENTURY WORLD thoroughly covers recent world history by focusing on themes of global interrelatedness, identity and difference, the rise of mass society, and technology versus nature. Outlined in the book's introduction, these themes help readers effectively place historical events in a larger context. Integrating the latest dramatic phases in world history, the Seventh Edition has been extensively revised and updated, especially the period since 1945. The two chapters on Superpowers, Europe, and the Cold War have been completely rewritten. The text also takes a more in-depth look at the economic growth of India and China, recent developments of the Israeli-Palestinian conflict, the impact of the global financial crash, the latest in the war on terror, new international environmental initiatives, and more.